Guest post by Pamela D. Wilson, advocate for family and professional caregivers. We love our cars. Some of us love the type of car we own and the way it looks: sporty, shiny or compact. For others it’s the way our cars make us feel when we’re driving: a convertible with the wind blowing through our hair. Others love the ability to jump in the car and go for a drive: the freedom and mobility a car provides. As we age, the first thing we notice is that we become more uncertain when driving at night. Our vision isn’t as sharp as it was when we were younger. As a result we drive less after dark. Then, depending on where we live, we may feel less confident driving on snowy or icy streets. So we stay home when the weather is bad. When we become forgetful, we limit our driving to a few blocks away from home to go to the grocery store or to run an errand, driving what we believe to be familiar routes to avoid becoming lost. 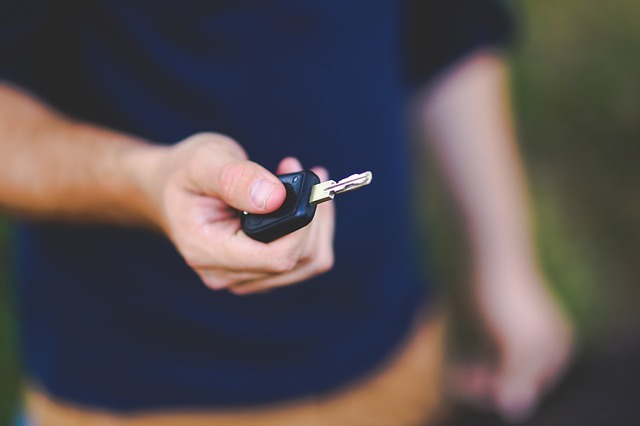 Memory loss and driving can be a dangerous combination, just like drinking and driving. Those who drink and drive frequently underestimate the effect of alcohol on reflexes and responses; accidents occur. Those with memory loss underestimate the same effects. However, due to memory loss, the forgetful believe their driving skills are similar to the skills they possessed when they were young. Those of us concerned hear the familiar, “I’ve been driving for 50 years and have never had an accident.” The person making this statement lacks insight into the reality that their abilities and reflexes have changed due to the faulty circuits in the injured brain because of a diagnosis of dementia or Alzheimer’s disease. While giving up driving equates to giving up independence, there are greater considerations that we prefer to ignore. Memory impaired drivers think only of themselves. They fail to consider the child or pregnant woman they may injure in a car accident. They fail to consider the building or house into which they might drive if they confuse the gas and the brake pedals. Poor judgment, and the inability to evaluate information and to make reasonable and safe decisions are the effects of a diagnosis of memory loss. But try to tell this to your loved one diagnosed with memory loss and they will argue with you that there’s nothing wrong with them until they take their last breath. If you or a loved one has memory loss and you’re unsure whether it’s safe to drive, there are special driving evaluations that can be completed. These are not given through the DMV but through driving assessment programs that test brain ability and reflexes. You might not like the results you receive, but at least you’ll receive an independent evaluation. In most cases, this is what it takes for the memory impaired to give up driving because no one wants to admit that a concerned family member or friend telling them they should give up the car keys may be right. Pamela D. Wilson, CSA, MS, BS/BA, CG, is an advocate for family and professional caregivers. She is a recognized expert in the areas of advocacy, caregiving, care navigation, aging parents, family and professional caregiver relationships and long term care. An industry leader, Pamela desires to change the common belief that minimum standards of care are acceptable. To learn more about Pamela and her work, visit PamelaDWilson.com.